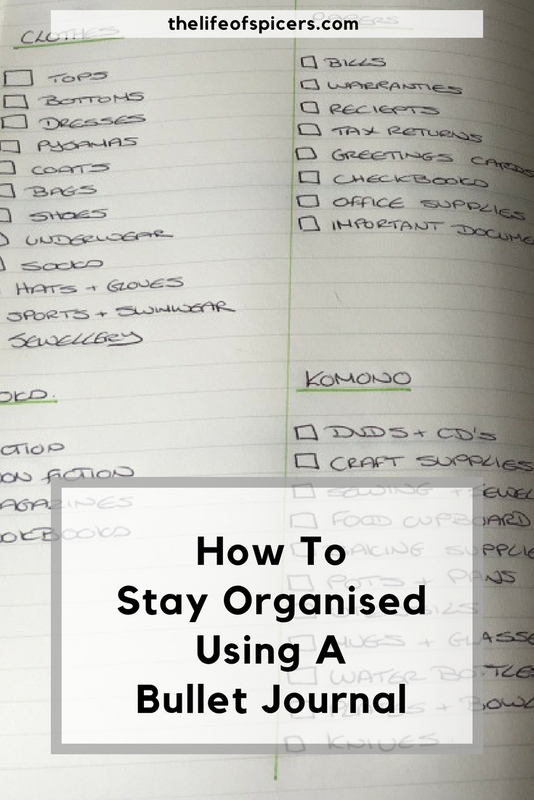 I have talked before about my love of a Bullet Journal and why it suits my needs in my personal life and blogging life. I’m the first to admit that I’m not the most creative of people, and my calligraphy skills are non-existent, so whilst I would love to create amazing bullet journal pages, my style is a lot more basic. Hence the need for finding new bullet journal ideas. To help me along the way, I have been searching online for tools to help me make my leuchtturm bullet journal prettier and more functional that will also save me some time by not having to draw everything out by hand. I have tried so many times to draw some pretty calendar styles straight into my bullet journal, however they never seem to turn out looking how I want them too. I have now decided that pre drawn ones are the way to go. Shop for your month at a glance calendar here. Who doesn’t love some pretty washing tape. I have loved discovering this washing tape in days of the week pattern. Just cut and stick in. Perfect for making the pages pop out at you without worrying about getting the writing style right. Shop for days of the week washing tape here. Sometimes it’s easy to have everything in one place all together isn’t it. 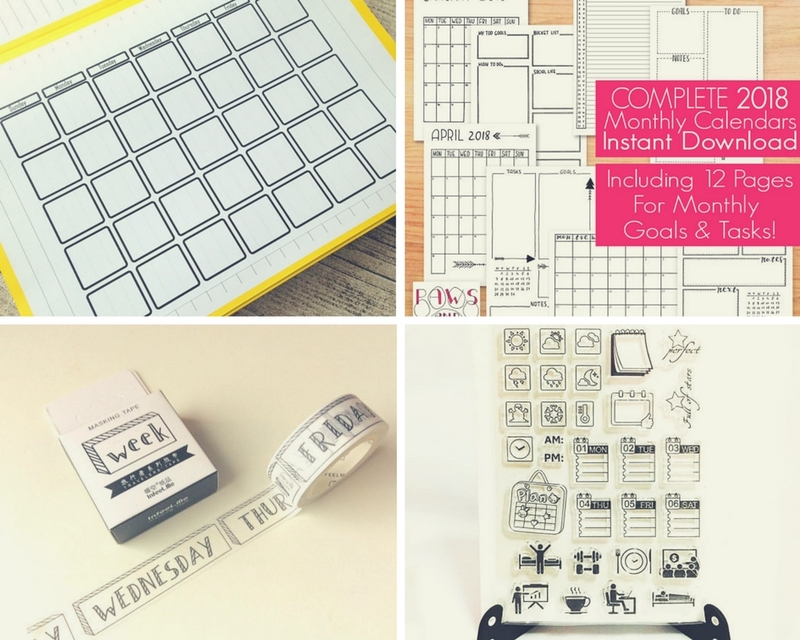 I stumbled across this all in one monthly planner kit for 2018 which would be a great time saver. 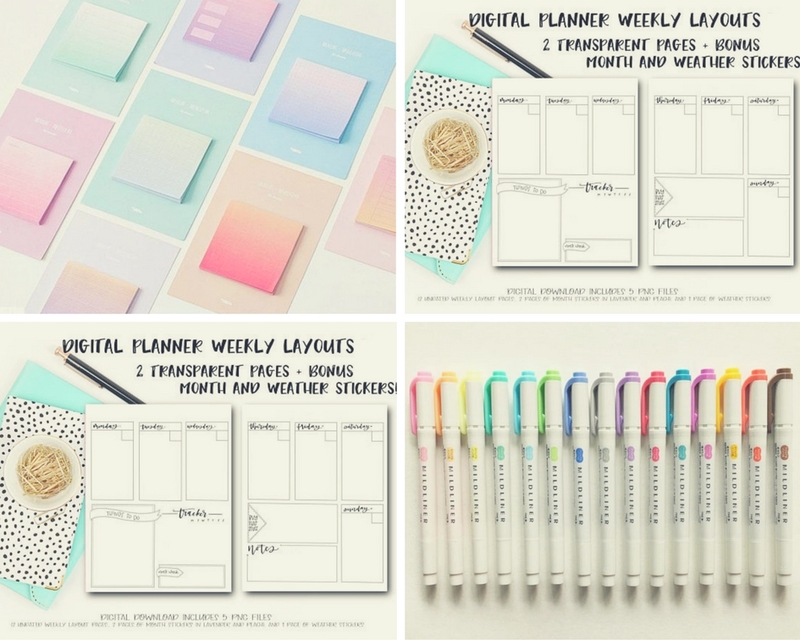 Stickers not your thing for your bullet journal? Then perhaps stamps would be a good alternative. This would certainly save money from buying stickers repeatedly. 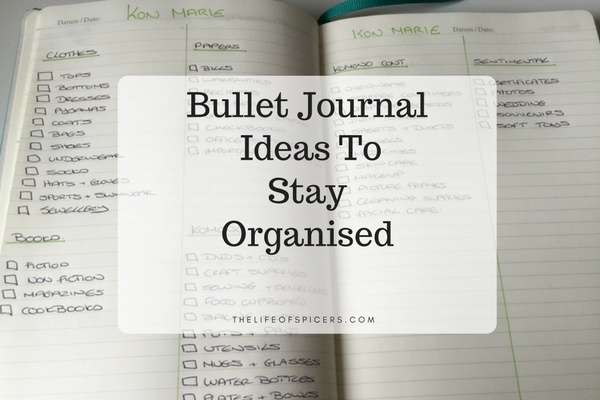 There are so many bullet journal pens available on the market, it can be difficult to know which to go for. Multi coloured pens are a must for any bullet journal. It’s great fun making the pages unique and interesting. Good pens will cost a little more but are worth it to not bleed through the pages of your journal. Shop for your pens here. When I’m short on time and inspiration, having pre made templates for my bullet journal weekly layouts are a must buy to save me time and procrastination. I do like to have sticky notes of all different sizes and colours. I spotted these to do list sticky notes and thought they would work really well in my bullet journal.